Put everything back together yesterday, installed fast ranchero float bowl with leak jet, swaped the acclpump spring for the ktmsx upgrade spring i found on rocky mountain atv, removed sparky from the hmp competition slip on, and to finish her off i slapped on the fuel customs intake. I would think you aren't too far off. Should be on the safe side, a little rich if anything, and that's a good thing. Try that and then a 175 main and see if you notice a real difference. The 505s come with a 45 pilot and 175 main.. Thougt a 48 and 180 would b a good starting place... Does everyone use the stock needles or is there sumthin brtter out there? I think a lot of guys use the hrc kit. I have one if you want to go that route. Yep ur right, the hrc needle is what fast ranchero uses, how much? Idk yet. I bought it a while back and never used it but opened the package to look at the number on the needle. I dont remember what I paid for it. The HRC kits cost $20-$25 new. That's what I'm using too. The HRC needle is a bit richer. I'm running a 170 main with it at 3100'. A 165 works with it too and might be better on the dyno, but I noticed the 170 seems to be a little better for sustained wide open throttle in my particular machine. Yes, the 06 and up HRC power up kit part number is 16020-nlz-610. The kit comes with needle NGPR, 162 Main Jet and 55 Leak Jet. There is no pilot jet in the kit. If you want the one I have, I would sell it for $25, and I pay postage and Paypal fees. 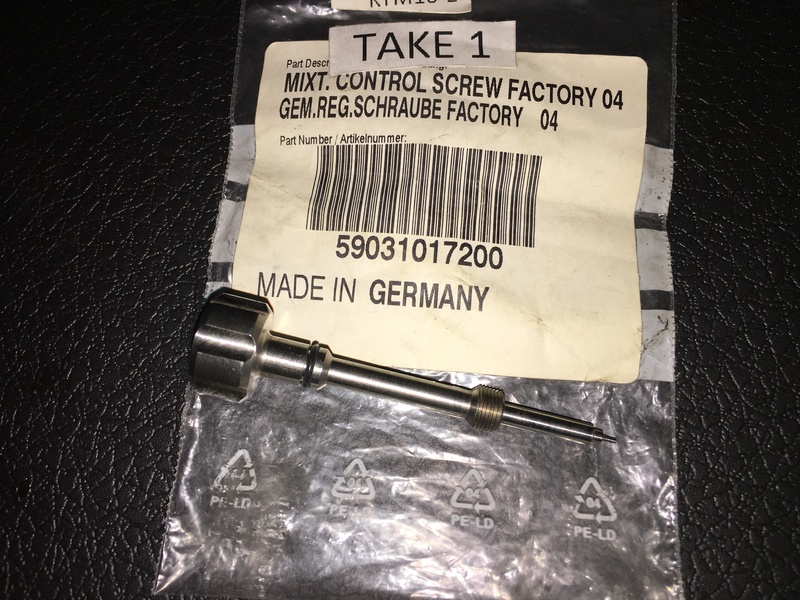 I also have the KTM Powerparts A/F factory screw (59031017200) if you are interested. It is brand new never used. I got it then ended up using a differrent one. $20. Damm that was fast!!! awesome brutha, thank you again!